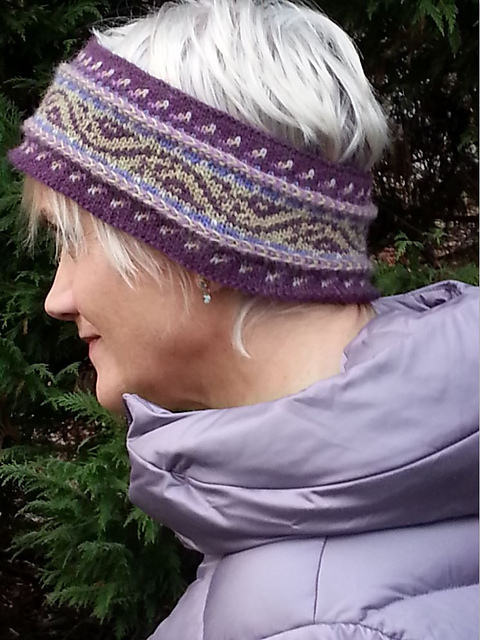 Polar Chullo, sized for adults, knit in Jamieson’s Shetland Spindrift. Click photo for details. I know quite a few of you are working on your Polar Chullos, hoping to get them done in time for the holidays. Don’t strand too tightly – always leave a tiny bit of slack in the strand. Don’t catch long floats too frequently. Snagging long floats is not much of an issue with hats, since we don’t run our fingers through them. And when a hat is knit out of Shetland wool, there’s even less concern about snags, since the wool felts to itself. Floats under an inch long will never be a problem with such a hat. But, those bears are indeed extra long, and after all that work, I want them to live extra long “lives”. This entry was posted in Knitting, Mary Ann's Designs, Technique and tagged catching floats, chullo, earflap, fair isle, fair isle knitting, hat, jamieson's spindrift, Knitting, knitting kit, knitting pattern, long floats, Polar Chullo, shetland wool, stranded knitting, weaving in. Bookmark the permalink.